Do you like to save money? Have you tried any of the money saving or rebate apps out there? Just a few years ago I started getting into using those apps. At first I was skeptical. It seemed too good to be true. You download an app, sign up, scan a few grocery items or a grocery store receipt and the app would pay you back in cash. To get over my skepticism I tried several of these apps and I found that some are better than others. The one that stood out from the rest for me is Ibotta. Since I started with Ibotta in 2013, I've earned $123.94 in cash back. 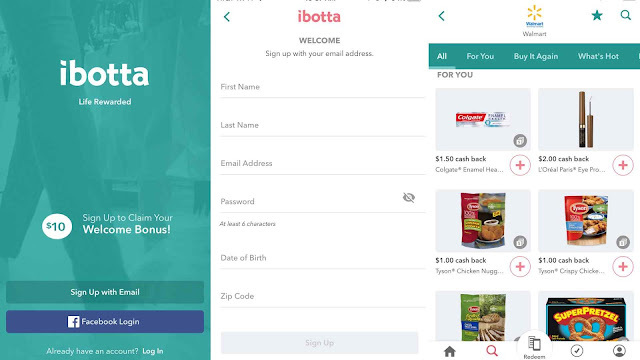 Ibotta is a free app that lets you earn money back on your purchases. It started as a grocery cash back app but has been evolving over the last few years to provide cash back on purchases other than groceries. I was able to get $9 in cash back from JoAnn's from one purchase and I wasn’t buying any groceries. To give you these offers, Ibotta partners with various retailers, restaurants, and brands like Walmart, Target, Walgreen's, CVS and more. It’s pretty easy to use Ibotta. I’ve outlined it in six simple steps. Go to the Apple or Android app stores and download the app. Signing up is easy. You can use your Facebook account to sign up. Or you can fill out the form. And when you sign up, don’t forget to use my referral code 77pwa. Plus when you sign up you can get a $10 welcome bonus which is great because it gets you halfway to the $20 cash out mark. Once you’re signed into the app you’ll be able to browse around and find cash back at stores you’re interested in. To select the cash back offer you just have to click the plus button to the right. For some offers, you may be required to watch a short video or answer a multiple choice question but that only takes a few seconds. Another way to find cash back offers is to scan the items you’re buying. There’ve been a few times where I’m in Target and can’t remember or recall if Ibotta is offering cash back on that item. So I’ll open the app and scan the UPC code. If there’s a cash back offer it will pop up. After you’ve used the app for a while you’ll start seeing on your “homepage” offer recommendations for stores you redeem at frequently or have noted as a favorite. This makes finding your cash back offers even easier. After selecting your cash back offers it’s time to go shopping. The key here is to buy the item from the participating store. So if you selected a cash back offer for an item that has Target noted as the store you can’t buy it at CVS and get the cash back. Also, you’ll need to make sure you get the receipt for your purchases as that’s one of the things you’ll need to redeem your offers. Redeeming offers is pretty simple. All you do is open the app and take a picture of your receipt. The offers you previously selected will pop up if they correspond to purchases on your receipt. Once you’ve hit $20 in the cash back you can select how you’d like to withdraw it - PayPal or Venmo. So while saving with Ibotta is easy there are some additional things you can do to save even more. As I mentioned, Ibotta doesn’t cost you anything to sign up or use it. In fact, they give you $10 for signing up. Which gets you halfway to being able to cash out. Sometimes there are store cash back offers which are sometimes a dollar amount or may be a percentage of your purchase. And many times you can use the store offer in addition to the product offer. Invite your friends to sign up for Ibotta. You can earn additional cash when you refer someone to Ibotta, they sign up, and redeem a qualifying offer. If you sign up using Facebook, Ibotta links you with your Facebook friends who also signed up with their Facebook profile to create a team. Together you can work to earn monthly teamwork bonuses which are typically additional cash back. In addition to teamwork bonuses, you can earn cash back bonuses on your own when you complete specific tasks, buy featured items, or redeem specific offers. 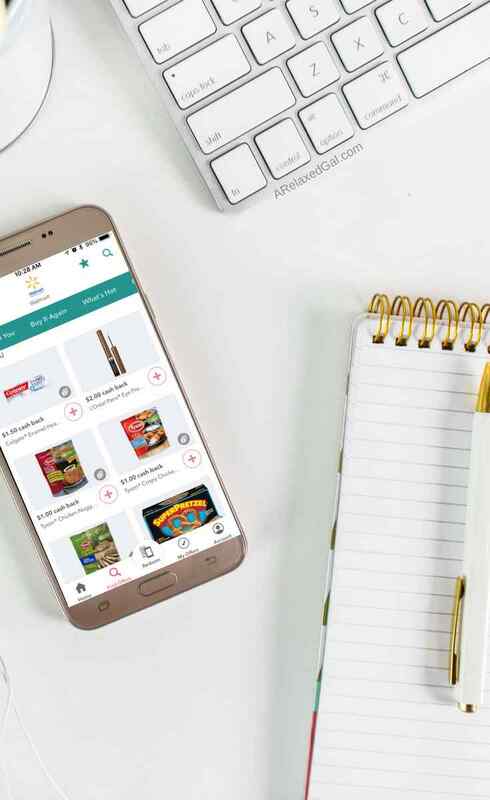 Overall Ibotta is a great way to save money not only on your groceries but other purchases as well. Don’t forget that you’ll get a $10 bonus when you sign up.